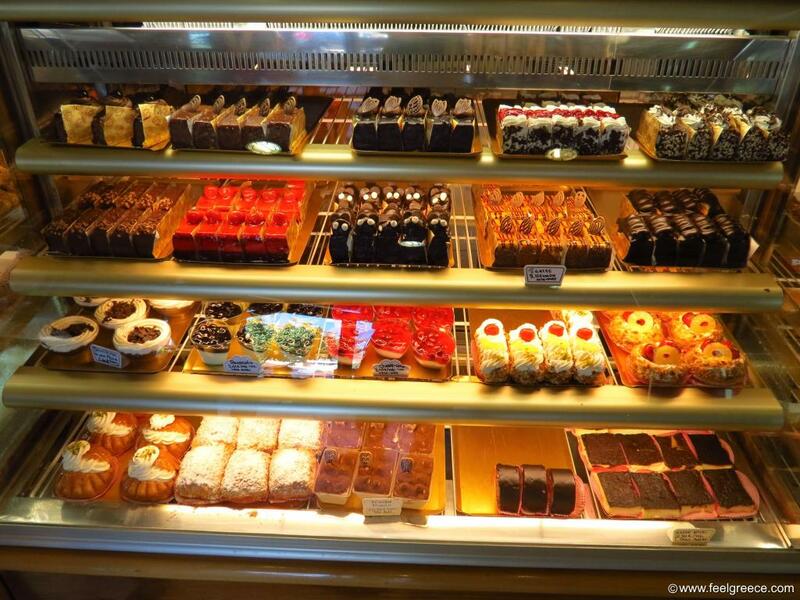 Ζαχαροπλαστείο, transliterated as Zaharoplastio, is a patisserie (sweet shop) in Greece. You can see such in any village and even the smallest and scarcely populated islands have at least one bakery or zaharoplastio. The name is usually written in Greek but you will definitely recognize the place by the tempting desserts exposed on long window displays. 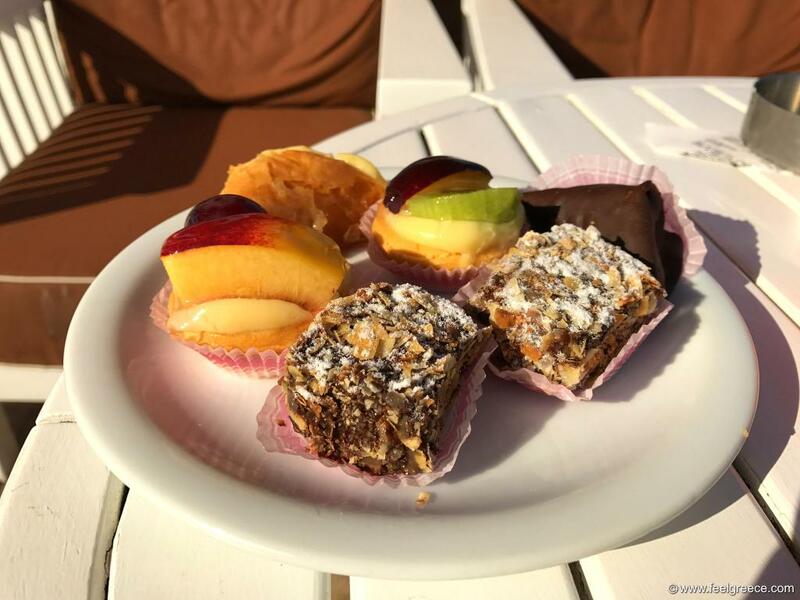 Every zaharoplastio makes its own desserts and cakes and although most patisseries prepare the same types of confectionery, there might be slight differences in taste and decoration. So, what can you find inside a zaharoplastio? Apart from cakes, sweets, mousses, cookies and baklava, some of them offer also pies for breakfast. Note that zaharoplastio and artopolio (αρτοπωλείο) are not the same - artopolio is the equivalent of bakery and it sells mainly bread, pastry, pies and cookies. 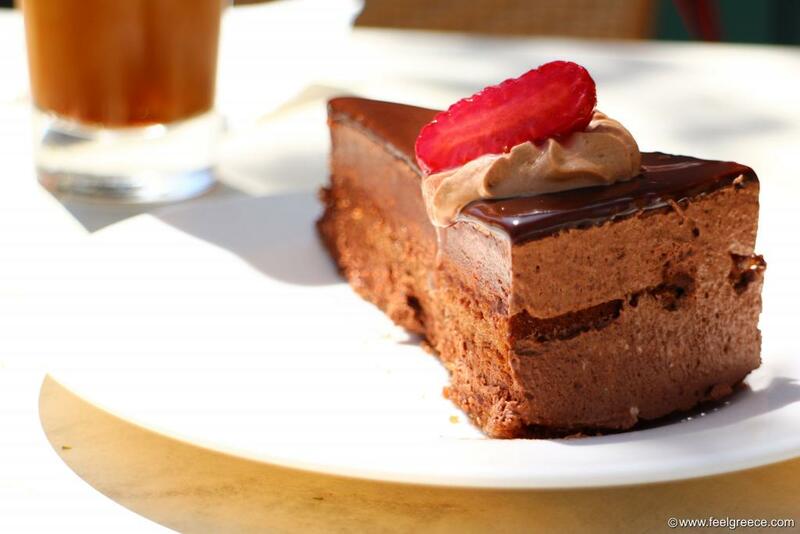 Zaharoplastio offers no bread at all and emphasizes on cakes, desserts and chocolates. Ice cream is another thing you can find there, and you will often see small bites of ice cream on sticks - very convenient for kids. 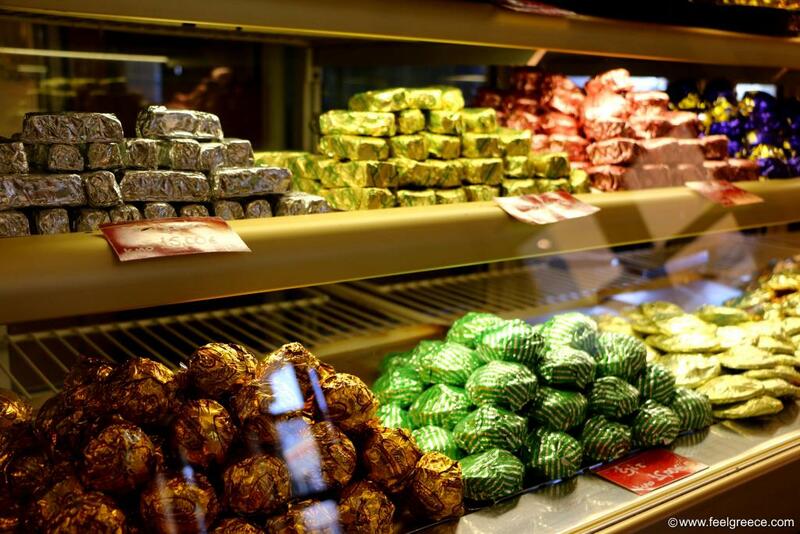 The foil wrapped desserts are in a separate window display - these are chocolates with various fillings and they are sold per kilogram. Their shapes gives a hint on what`s inside - usually the round balls are similar to Ferrero Rocher, the cylinders are waffles filled with chocolate cream, the rectangle pieces are cakes, the irregular shaped ones are mix of dark chocolate and whole almonds, etc. Most zaharoplastios have tables outside and function as cafeterias where you can sit for breakfast in the morning or any time during the day. Take-away frappe with a box of cookies and wrapped desserts is also a good companion for the beach, especially if you prefer more isolated and non-urbanized beaches. 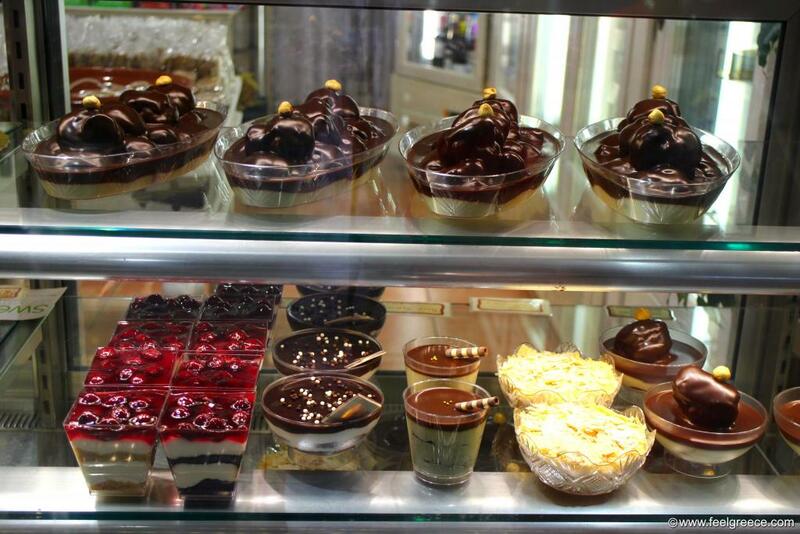 Sweet shop at Adamas, Milos, emphasizing on creamy desserts and chocolate mousse. A selection of small tarts with cream and fruit filling.